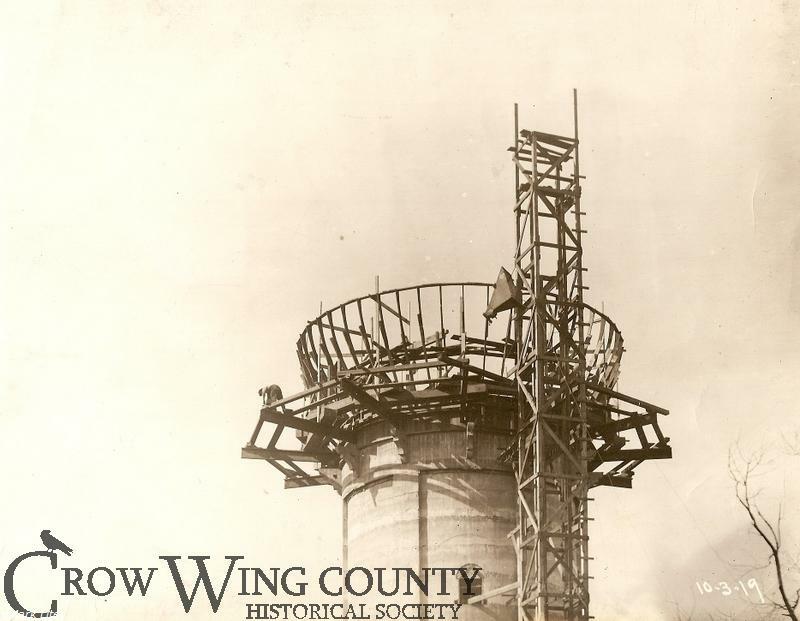 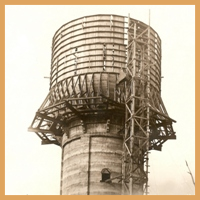 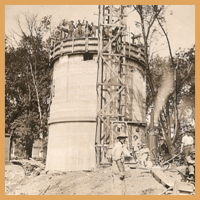 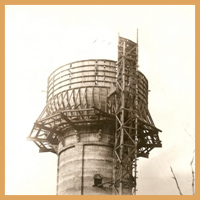 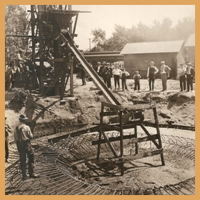 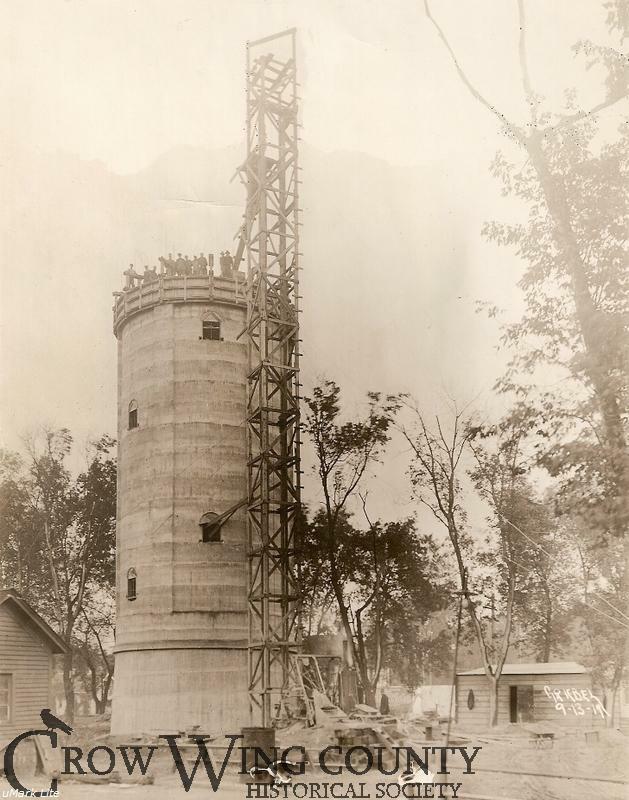 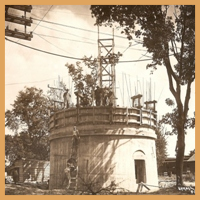 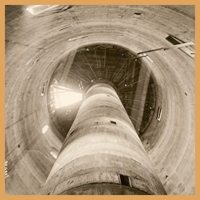 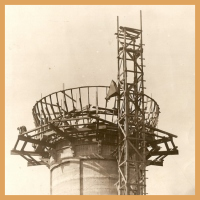 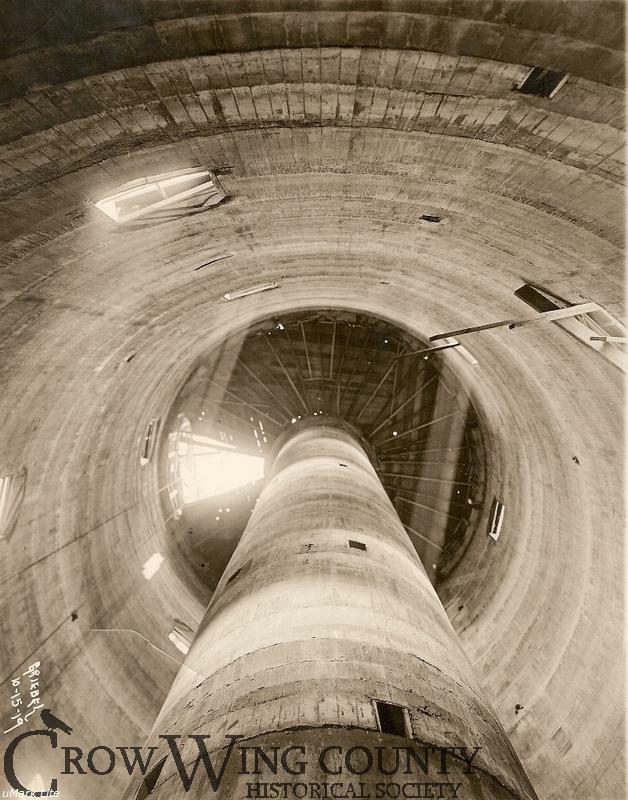 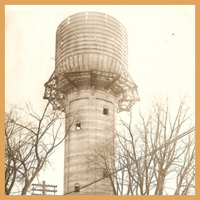 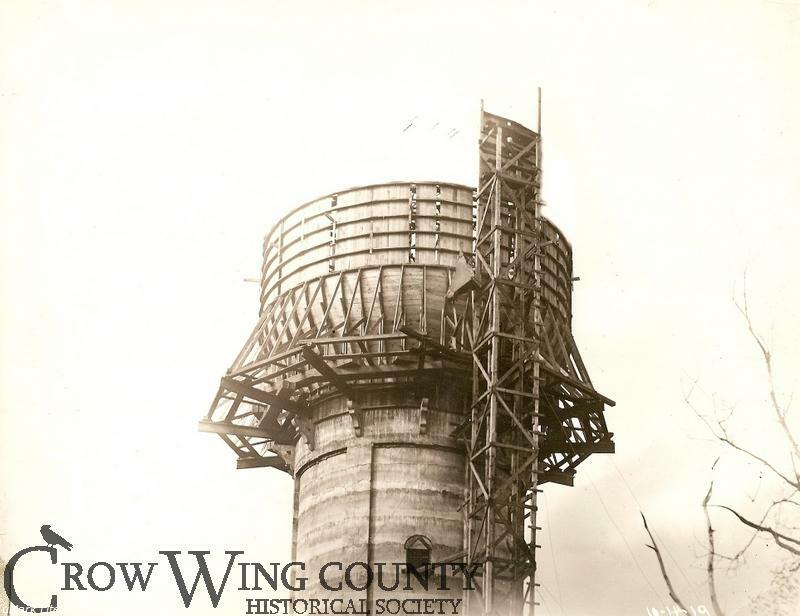 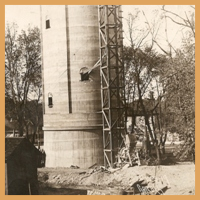 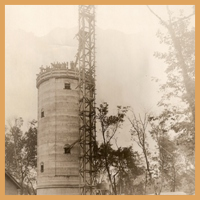 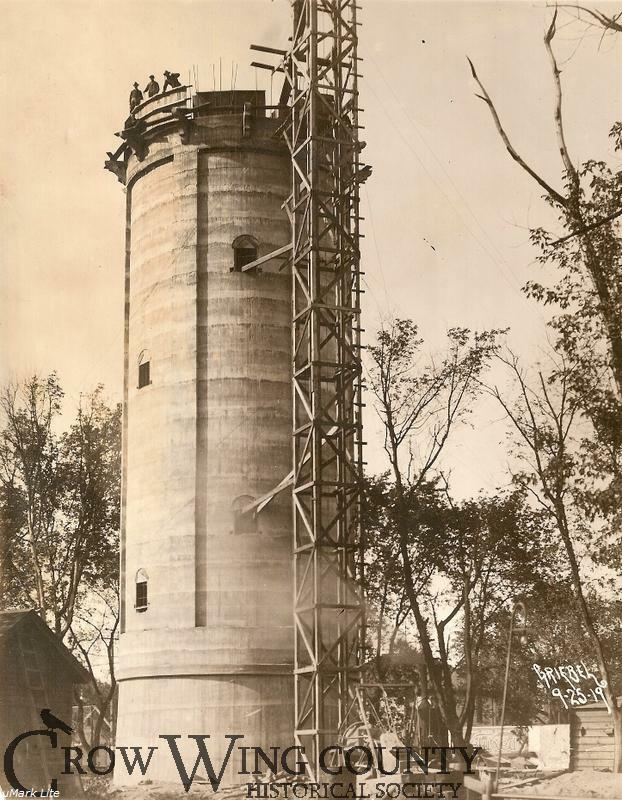 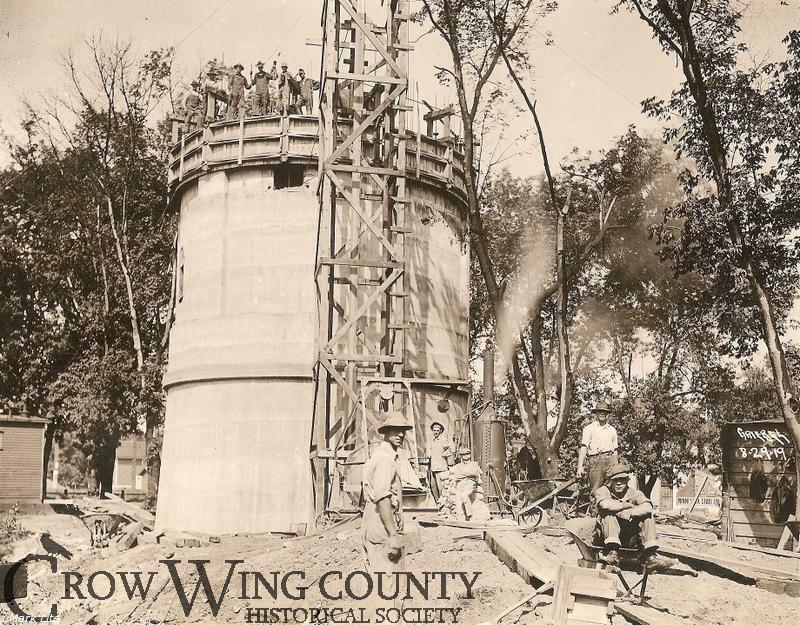 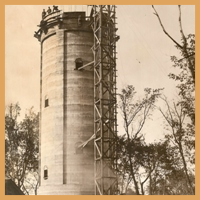 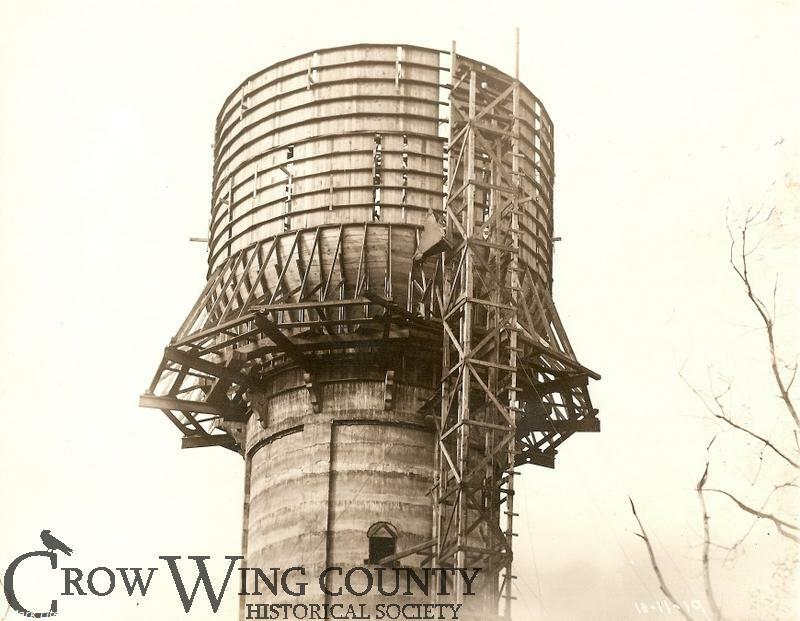 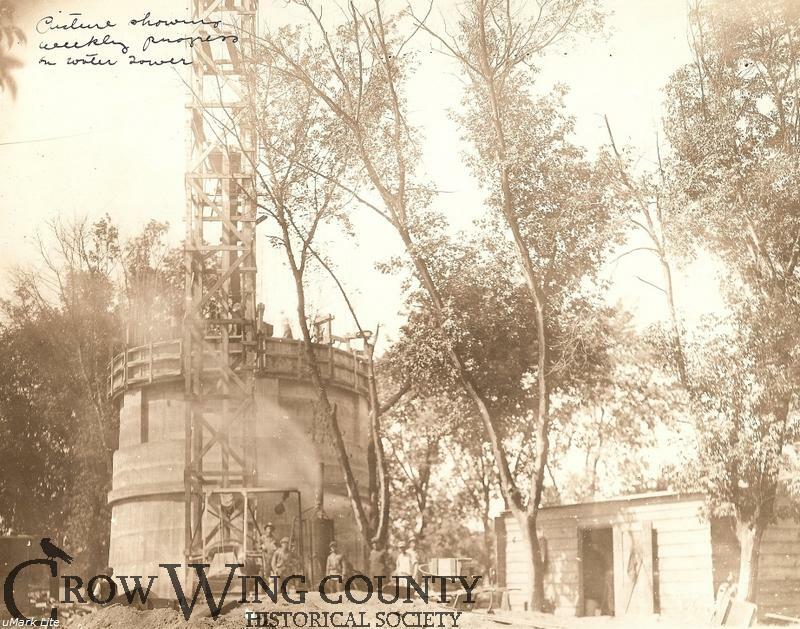 Click on the pictures to view the construction of the Brainerd, Minnesota historic water tower. 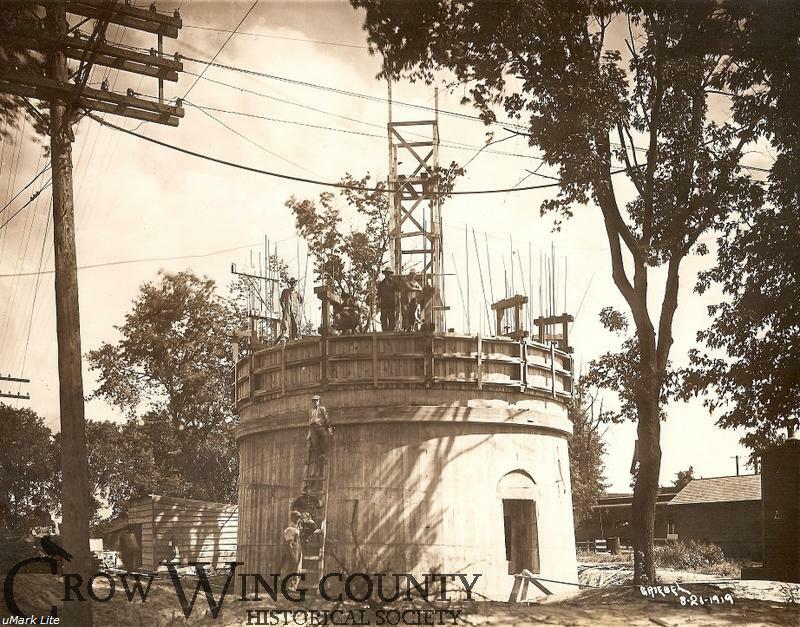 The base was poured and the scaffolding built for the bowl in two months, from mid-August to mid-October of 1919. 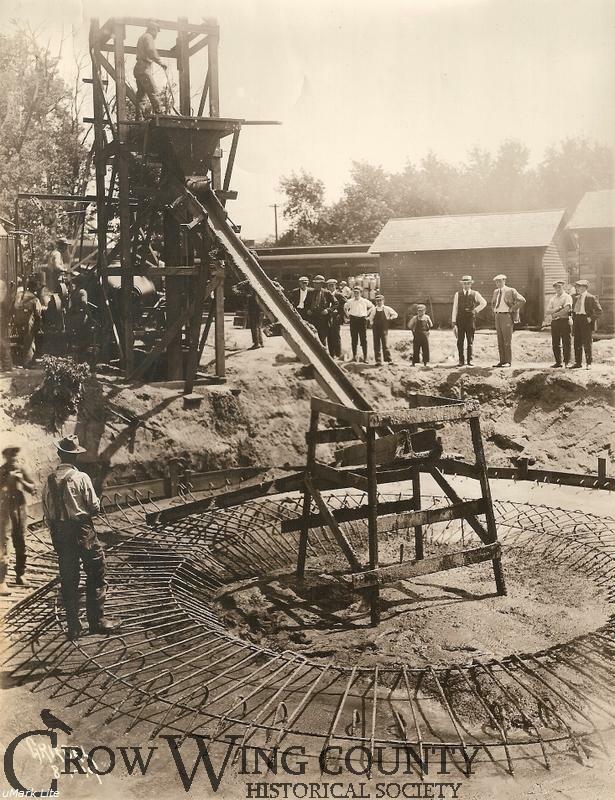 The bowl was poured the following spring, and stuccoing applied that summer. 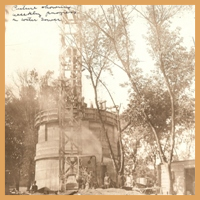 By October of 1920, water was being pumped into the 300,000 gallon bowl. 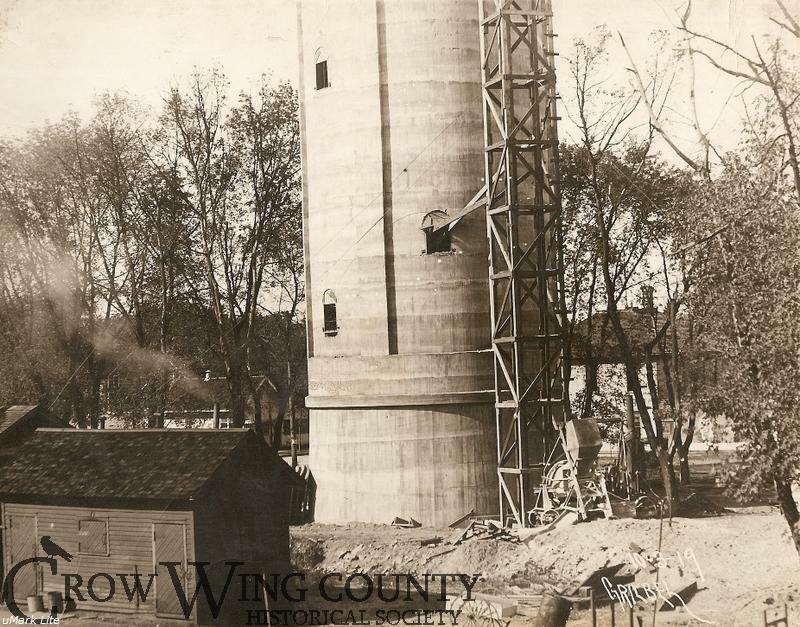 These are just samples of the 1,000s of historic photos covering a wide range of subjects at Crow Wing County Historical Society research library. 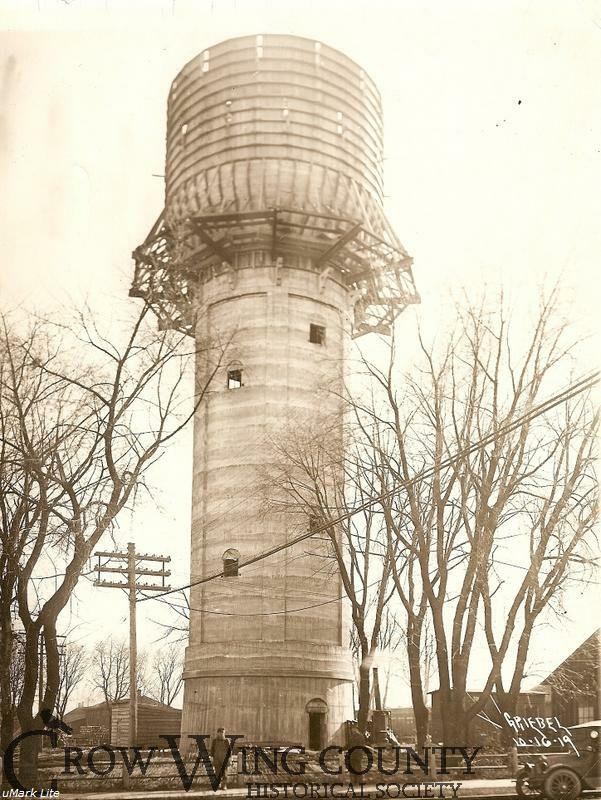 Click above to expand photo.